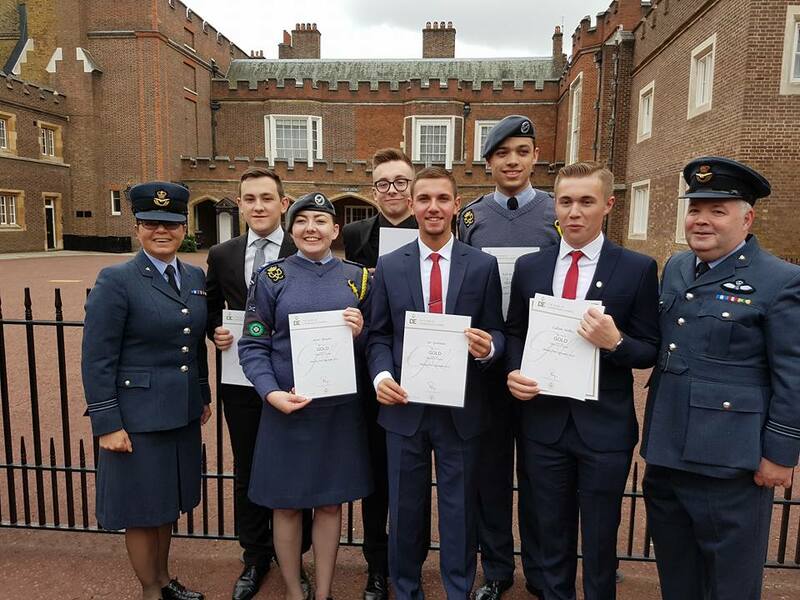 Several Air Cadets from 1220 (March) Squadron were recently invited to St James’s Palace in London, to be presented with their Gold Duke of Edinburgh’s award certificates. To complete their award they have to take part in various activities. The cadets took on volunteering duties for a period of 12 months which included representing the Air Training Corps at various community events. The physical section held them to improve their overall fitness and to do this most of the cadets learned how to play table tennis. They all had to learn a new skill and this varied from studying Aeronautics, playing an instrument in a band and leaning Marksmanship skills. There is a residential element which involves staying away from home for a period of ate lease 4 nights and taking part in a group activity. A couple of the cadets travelled to Cyprus for this and spent time learning about Royal Air Force operations overseas. Finally, all of them completed a 4 day expedition in the Lake District. Totally self-sufficient they used their navigation and teamwork skills to complete this challenging part of the award. At the palace, HRH the Earl of Wessex took time to speak with the successful candidates and then certificates were presented by Mr Mike Bannister who was the chief pilot on Concorde. Mr Bannister gave an inspiring talk about is time on Concorde which the cadets and their parents enjoyed. 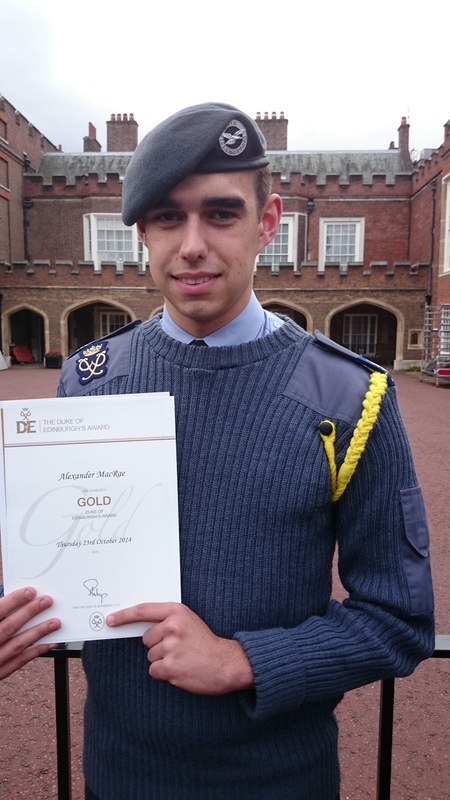 This entry was posted in Adventure Training, DoE on 30/10/2016 by Fg Off Arnold RAFAC. 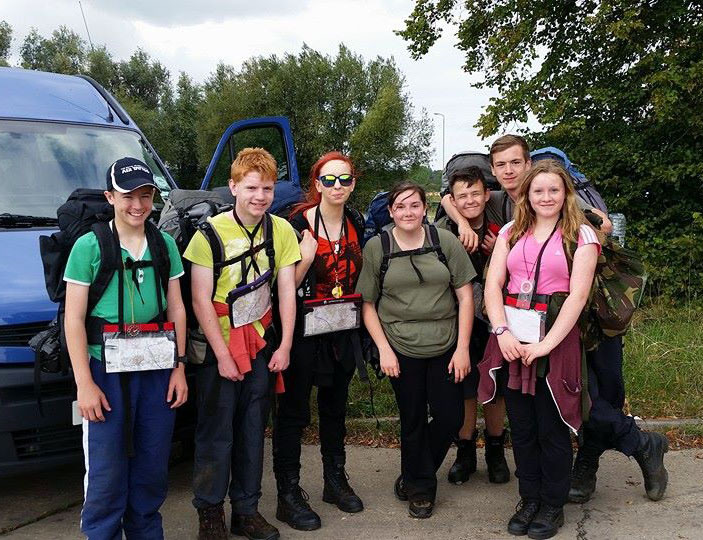 Seven cadets from 1220 (March) Squadron Air Training Corps recently completed a three-day expedition in the Yorkshire Moors, which forms the expedition section of their Silver Duke of Edinburgh’s Award. 1220 cadets after their expedition. 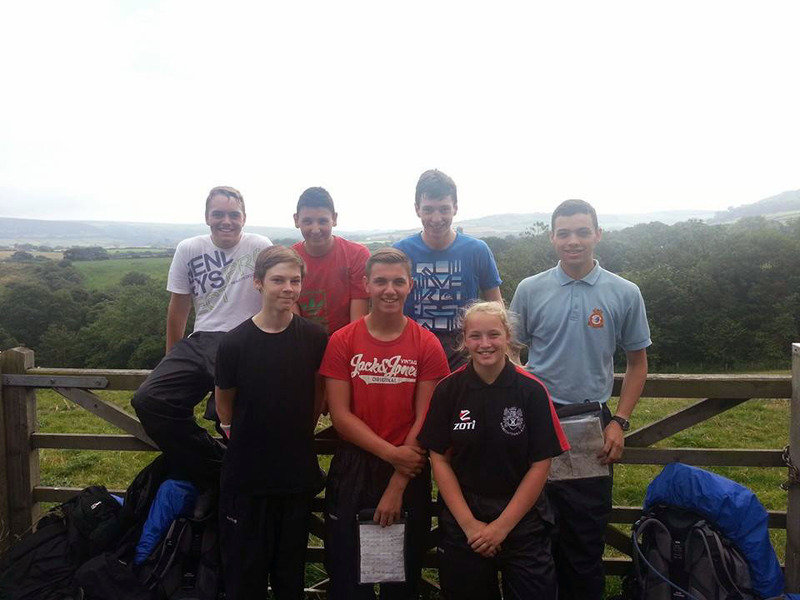 Prior to taking part in the expedition the cadets had attended various training sessions, which included practical navigation lessons in Snowdonia and the Peak District. They had all completed a short overnight expedition in Cambridgeshire to finalise what equipment they wanted to carry and what food to have on the menu. Having decided to complete their expedition in the Yorkshire Moors they spent several evenings planning their route. They included locations they particularly wanted to visit such as the interestingly named Blue Man i’ th’ Moss and a waterfall called Falling Foss. 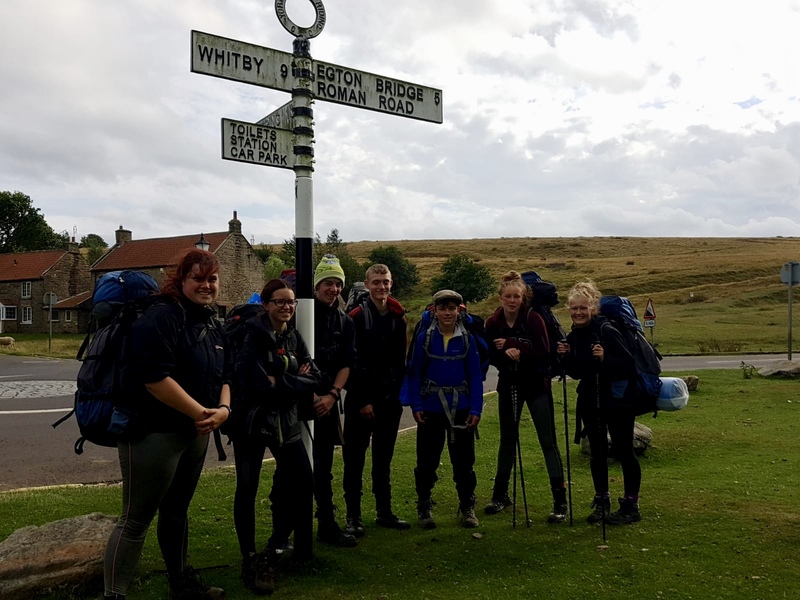 The routes were submitted to the Yorkshire Moors Duke of Edinburgh’s award wild country panel for approval and to request an assessor attend the expedition and make sure the regulations are adhered to. The team and their supervisors set off to the Yorkshire Moors on Wednesday evening to arrive at the campsite that was to be their base camp. The cadets then had some time to prepare their kit before getting a good night’s sleep ready for the morning. The assessor arrived the next morning, just after breakfast, and spent time going through the twenty conditions they need to meet to complete the expedition section of the Duke of Edinburgh’s award. Most of these had already been completed in the planning stage so now they had to actually complete their route. They spent three days journeying through the Yorkshire Moors, starting at Rosedale and working their way towards the coast to finish at Robin Hoods Bay. They were self-sufficient throughout carrying full expedition rucksacks with tents, sleeping bags, food & drink plus other kit required. Their navigation training paid off as they rarely went off course and when they did, they recovered from their errors quickly. They kept to the timings planned on their route cards, finishing on time each day. Having reached the end their assessor debriefed them and discussed what they did well and what they enjoyed and didn’t enjoy. She complimented them on their competence and encouraged them all to continue on to complete their Gold Awards. After saying goodbye the team then returned to the base camp where they enjoyed much looked forward to fish and chips. They spent the evening winding down before packing up and travelling home the next day. Sergeant Kyle McLean said he enjoyed the challenging terrain and landscape, and that completing the Silver National Navigation Award earlier in the year really helped him prepare for the trickier elements of the route finding. This entry was posted in DoE on 11/10/2014 by Flt Lt Burnham RAFAC.